Before I start, I would just like you to look at this poor photo. These kids and more walk below my balcony around 8:00 every morning. They are probably 6 judging by the school satchels they are carrying. They may be younger as there is a play school just up the road. 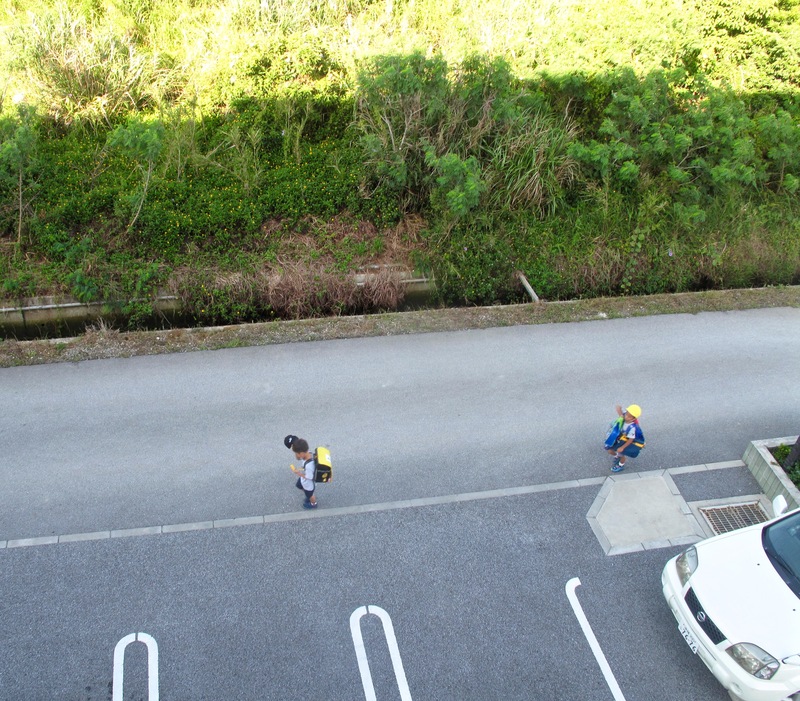 I love the way that Okinawan kids walk to school. I walked to school. All the way from Norfolk! This is what they look like in situ. 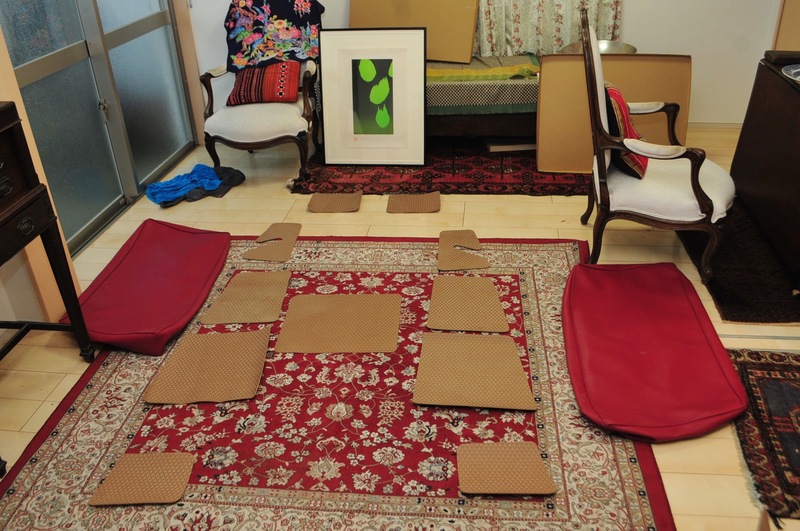 I also get two seat/berth covers that I will have to stuff with organic rice stalks. Many thanks to http://www.neilthompsonboats.co.uk/ for being so helpful. Anyway, I wake up and find a baby typhoon outside my door. It rains like crazy but the winds are not too bad. We have not had a real typhoon for 3 years. 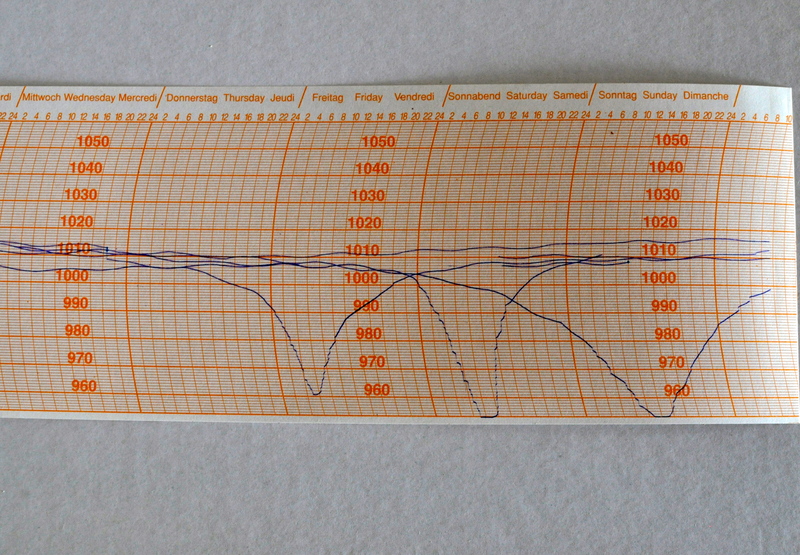 Barograph this morning. 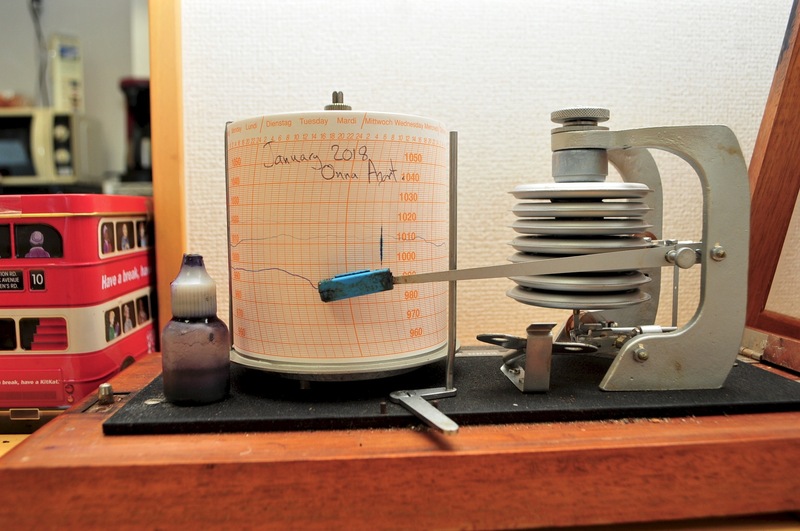 Notice abrupt fall in atmospheric pressure. But it is not like a real typhoon. As I am stuck inside, I get to play with my new toys. I role play glueing Treadmaster to the cabin roof. 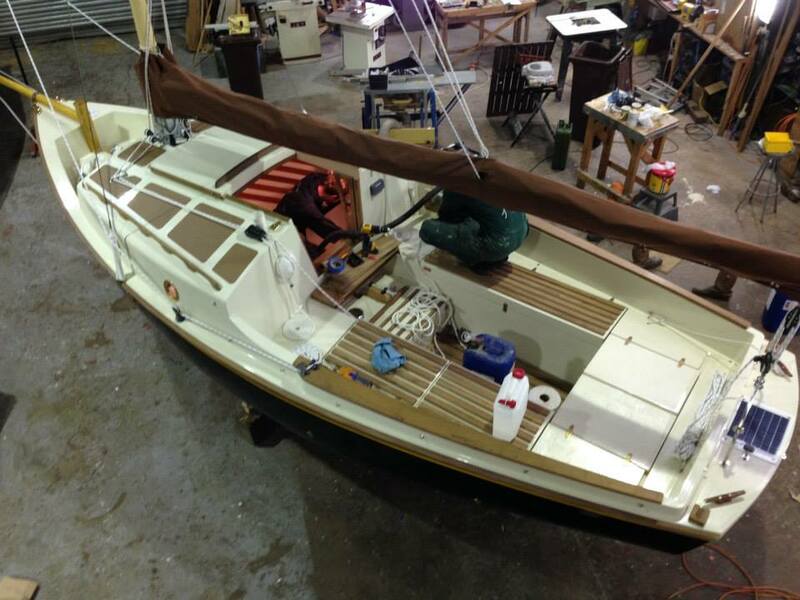 Friends are helping me track down the history of the boat. The wonderful Natori san came up with this. This is my boat for sale at least 10 years ago. She already looks pretty beat up. Good move the treadmaster, especially this week the twentieth anniversary of the disappearance overboard and death by drowning in the Irish Sea of that other great yachtsman Eric Tabarly. Stay well Neil.